No sneak peaks. 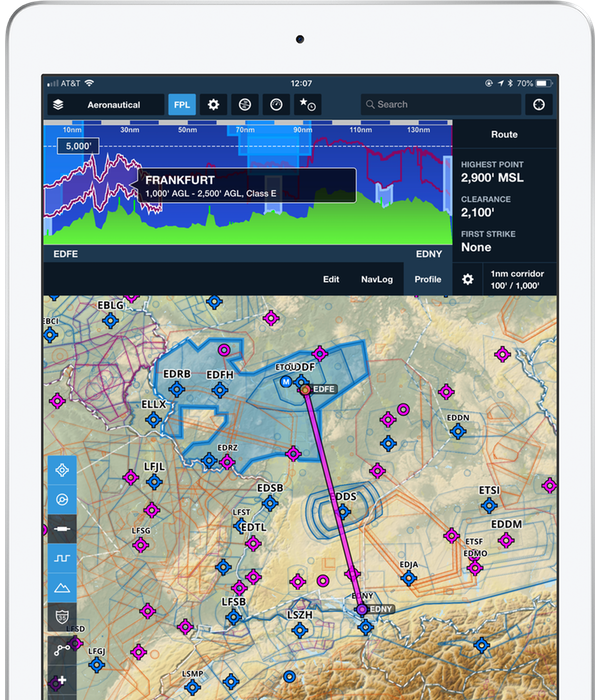 ForeFlight Mobile features a variety of hazard avoidance technologies that use Jeppesen’s global high-resolution terrain and obstacle data to provide pilots with better situational awareness and safety, anywhere they fly. Hazard Advisor highlights hazardous terrain and obstacles within 1,000′ of your aircraft’s GPS altitude. Terrain and obstacles (“hazards”) within 100′ are colored red, and hazards within 1,000′ of your aircraft’s altitude are colored yellow. Obstacles are dynamically added to the screen as they become threats. Profile View takes our Hazard Advisor feature into vertical mode and gives you a side view of airspace, terrain, and obstacles along your route. Use Profile view to easily determine the highest point along your route, how much clearance you have over that highest point, and if your planned altitude intersects with any terrain or obstacles. Profile view scrolls along as you fly and continuously updates your height AGL. Fly with more confidence in all conditions and terrain with this visually stunning and high-performance hazard awareness capability for iPad. 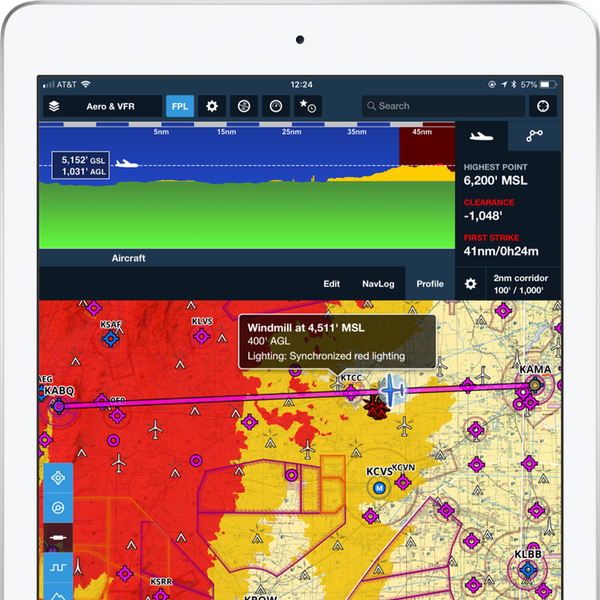 ForeFlight’s Synthetic Vision uses Jeppesen’s terrain data sets, designed for use in certified panel-mounted avionics. Our inflight safety tech now detects and warns of threatening obstacles and terrain using visual and audio alerts that display app-wide. The system detects proximity to airports and the approach path and automatically adjusts the scan to reduce nuisance alerts. Turn on Hazard Alerts in More > Settings > Alerts. Available for customers on Pro Plus or higher. 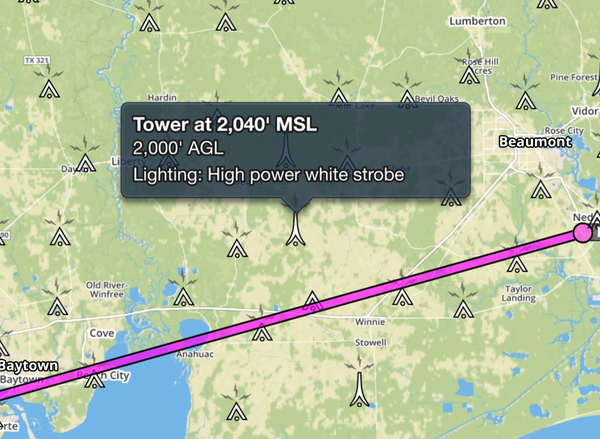 Turning on the obstacles layer on the map view allows you to tap on any obstacle on a chart to get detailed information on lighting, type, and MSL and AGL height. Terrain databases are not made equal. The source of the terrain data is a very important consideration. Free data sets used by some applications have holes – or “voids” – that miss important features like mountain peaks. These holes exist for a variety of technical reasons, but need correcting. ForeFlight’s terrain database, however, is “void filled”. If the terrain database you fly with is not void filled, you are not getting the whole picture. Flying with ForeFlight’s advanced features like Hazard Advisor, Terrain Profile View, and 3D Synthetic Vision gives you a clear picture of terrain and obstacle hazards anywhere in the world. These features and more are included in the Pro Plus and Performance Plus plans.